Thoroughbred: Born to Run premiered May 2011. Directed by Academy Award®-winning filmmaker Paul Wagner and narrated by Emmy®-winning actress Kathryn Walker, Thoroughbred captures the flurry of activity trackside and "backside," the serenity of Kentucky's horse farms, and the riches of Dubai's racing operations. "The film takes you into the hidden world of the Thoroughbred — the places, the people, the history and culture of America's oldest sport," says producer/director Paul Wagner. 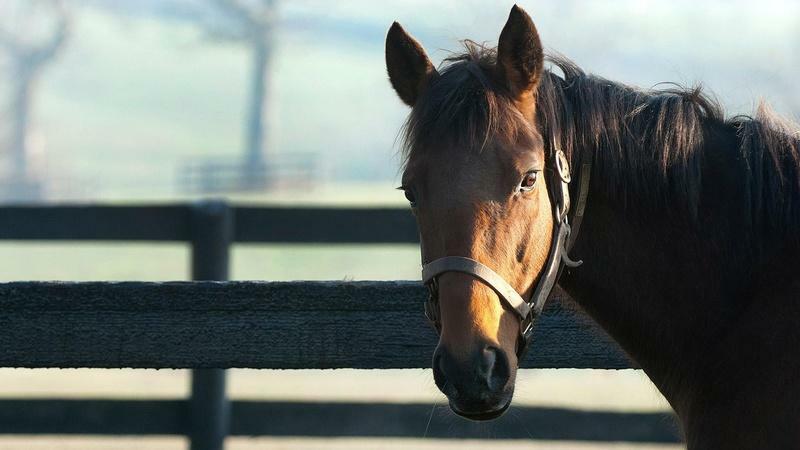 "Although Thoroughbred focuses on a year of racing, breeding and sales leading up to the 2009 Kentucky Derby, our hope is that we've created a timeless film, as relevant in 10 years as it is today." At New York's famed Aqueduct, viewers are introduced to an eclectic community of grooms, jockeys, trainers and owners as they prepare for the races. These charismatic characters are joined by gamblers, breeders and journalists who offer a glimpse into the fascinating, intense and sometimes heartbreaking world of Thoroughbred racing. From there, the film takes viewers to the picturesque farms in the heart of Kentucky's Bluegrass region, as Preakness and Belmont winner Point Given is introduced to a speedy brown mare named Cerise. Then it's off to the Arabian desert, where the origins of the Thoroughbred are explored and one of the industry's titans — Sheikh Mohammed bin Rashid Al Maktoum, ruler of Dubai — oversees extravagant stables and the richest series of horse races in the world. Thoroughbred culminates at Louisville's Churchill Downs for the 2009 Kentucky Derby. During the preparations and celebrations of Derby week, owners share their hopes and disappointments, and horses seem to revel in the spotlight as everything comes down to who stands in the winner's circle. As the excitement of the Derby passes, the film ends with a new beginning and new potential: the birth and wobbly first steps of Cerise's foal. Interviews and archival materials throughout the film also reveals the long history of Thoroughbred racing in America. Hall of Fame trainer John Veitch recalls the heyday of the sport when old families like the Wrights of Calumet Farm raced legendary horses such as Citation. Hispanic Hall of Fame jockey Angel Cordero describes his life-threatening falls during races and recalls how a dream about his deceased father led him to victory in the Kentucky Derby. Patti Barton recalls the challenges of riding as one of the first female jockeys in the sport. And black groom Freddie "Scrapyard" Winston remembers the era of segregation when there was a white kitchen and a black kitchen on the backside. © 2015 Kentucky Educational Television. All Rights Reserved. Text by Todd Piccirilli. Photos courtesy of Steve Shaffer/KET. Own this DVD to follow a diverse group of individuals leading up to the 2009 Kentucky Derby.